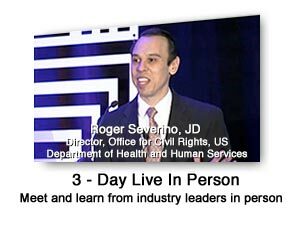 The Twenty-Eighth National HIPAA Summit conference content is now available in a variety of formats. You may purchase the Summit streaming content in the following formats: Flash Drive, or online archive (6 months access). 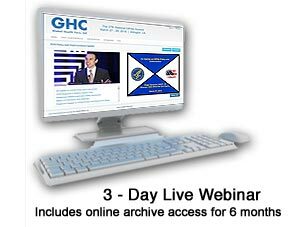 Online Archive of 2019 Twenty-Eighth National HIPAA Summit Presentations today! Flash Drive of 2019 Twenty-Eighth National HIPAA Summit Presentations today! 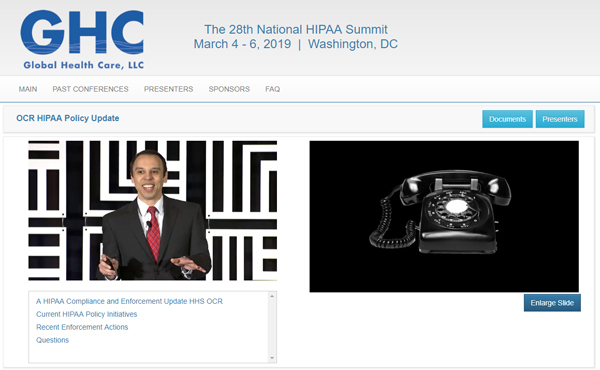 WASHINGTON DC USA -- HEALTHCARE UPDATE NEWS SERVICE -- MARCH 19, 2019: The Twenty-Eighth National HIPAA Summit, www.HIPAASummit.com, was held March 4 - 6, 2019 at the Grand Hyatt Washington in Washington, DC. The conference video content is now available for purchase in a variety of formats. Accounting Professionals: Approved for up to 22.0 hours of NASBA CPE credits. 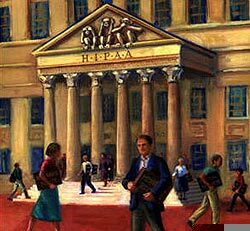 Compliance Professionals: The Compliance Certification Board (CCB)® has approved this event for up to 27.0 CCB CEUs.